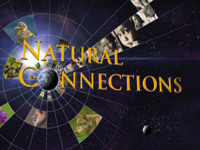 This outstanding program makes effective use of interviews with well-spoken scientists, beautiful photography, top quality graphics, and original music to underline the importance of maintaining biodiversity, if we as a species want to survive and thrive on our home planet. The program introduces the basic concepts of biodiversity, and takes a close-up look at salmon, rainforests, and marine ecosystems as examples. Amongst those interviewed are Harvard's Edward O. Wilson, known as the "father of biodiversity"; Dr. Robert Paine, who coined the phrase "keystone species"; and forester Dr. Jerry Franklin. Many programs call for us all to consume less in order to leave enough room for other species, on whom ultimately our survival depends. Few do it so effectively and positively. Biodiversity vs. Extinction - Mass extinction of species can be stopped if we understand the importance of biodiversity.